Our Marjorie Griffiths Learning Centre boasts a fully accessible IT Suite with height adjustable tables and chairs, twelve computers all with touch screen monitors and Microsoft office packages on all the computers. 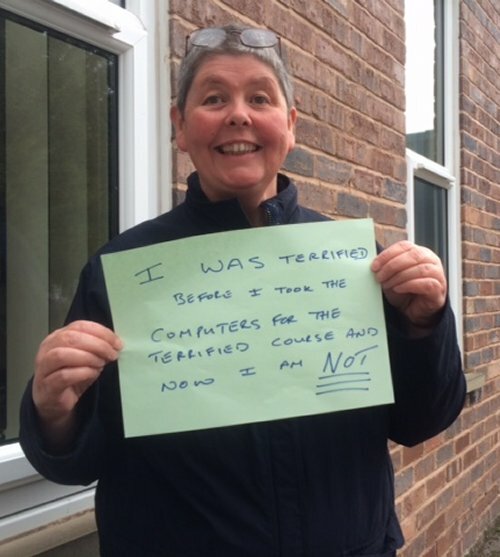 'Computers for the terrified' and 'Getting to know your tablet' courses will be starting again soon at the end of may 2018, there are still some places left on these courses if you are interested or know someone who could benefit. If you would like to find out more please call Nick Vaughan on 01925 240064 or email him. The IT Suite has a range of equipment to suit individual needs for their learning journey. Not only can you learn how to use a computer but the Centre has tablets as well for those just wanting to learn about downloading applications, looking around the Web and sending emails. 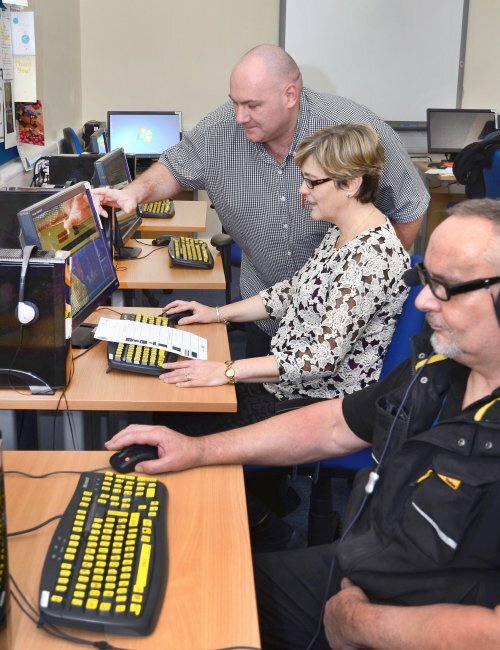 We have specialist equipment like Guide and Super Nova for partially sighted people or we can set each individual computer/Tablet up with its own accessibility mode to help those with a sight impairment. Nothing to do? At home all day? If you would like to learn new skills then we are the place to come to, Nick our friendly IT Tutor is on hand to guide you through your learning journey, from helping you choose the right course all the way to achieving your goals and giving advice on what you can do next, Nick will be there every step of the way supporting you in your learning. Why not come a long to an IT course learn a new skill, make new friends and have lunch in our Galleries Café. All these courses are run under Adult Community Learning and are subject to minimum numbers on each course; the times and dates can vary due to this. The courses take place in our superb well equipped IT suite, The Marjorie Griffiths Learning Centre which is situated at the Centre for Independent Living, Beaufort Street, WA5 1BA A course induction and enrolment will take place prior to the course starting, dates and time to be confirmed with the Learning Centre Coordinator Nick Vaughan. To find out when the course you want to do is running, please contact Nick Vaughan on 01925 240064 or email him. We can also provide our courses free to learners with learning difficulties and learning disabilities including those with recognised mental health conditions. For everyone else, we charge only £5.50 per hour for our courses which includes all tuition and learning materials you might need. If you can’t get to us; we will come to you! We are also able to deliver some courses in the community . 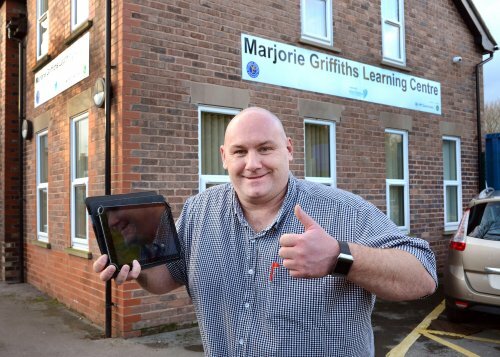 Our well established Tablet course is a favourite in residential homes and community centres, we have our own tablets we can bring to you with a four week course to get you started on the super technology highway. Contact our friendly Centre Manager today - he loves to help!